No nation on earth has a richer, more colourful, and more long-standing heritage of evangelical awakenings than Scotland - yet most people are unfamiliar with its dramatic legacy. Most historical studies stop at, or before, the Moody & Sankey Revival of 1873-74. It is commonly assumed that very few genuine revivals occurred since that date until the Lewis Revival of 1949-53. Tom Lennie thoroughly debunks this idea - showing that religious awakenings were relatively common in Scotland between these dates - and provides a comprehensive account of the many exciting revivals that have taken place throughout Scotland. The Awakenings in the Outer Hebrides and North East fishing communities, that had several unique and striking features, are considered in separate sections. Revivals amongst both children / students and Pentecostals are also given separate treatment. Of particular significance is the first comprehensive account of the 1930's 'Laymen's Revival' in Lewis. This fascinating, but near-forgotten, movement may have been even more powerful and influential than the later Lewis Revival. Glory in the Glen tells a thoroughly absorbing, and largely untold, story. It is the result of painstaking research, conducted over more than half-a-decade, from hundreds of source materials as well as personal interviews. Much of the material has never before been published. The Christian Church is much indebted to Tom Lennie for the years of patient research that must have gone into compiling such a record. Packed with first-hand accounts from eye witnesses, testimonies from those deeply affected, and newspaper reports, Lennie's material is well documented and authentic. He describes localised works of God, many in out-of-the-way places from Galloway in south to the Orkneys in the North, from Lewis in the West to the East coast...the main thrust of this thrilling account can only leave us all with longing hearts and a desire to see such works of God again in our day. ...there's no gainsaying the awe-inspiring scale of his researches or the value of a study which so comprehensively and so vividly evokes the enthusiasm of successive awakenings in a period long assumed to be one of comparative spiritual apathy. Author Tom Lennie is arguably Scotland's answer to world authority on revival J Edwin Orr... Ample uncritical examples of widespread outbreaks of revival over sixty years are documented. We are taken from villages on the Islands to the main land and to the large cities... captivatingly told, stacks of information, local illustrations and experiences. 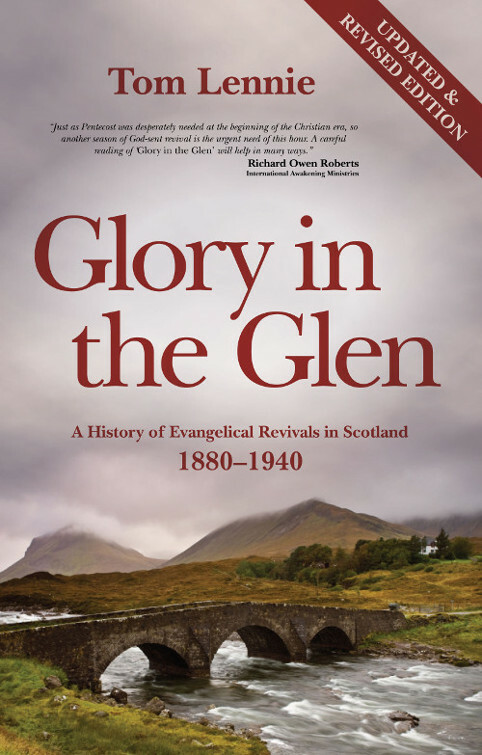 An intriguing, judiciously balanced, and often inspiring account of movements of the Holy Spirit in Scotland in a period that we do not normally think of as characterized by revivals (except for the 1949-52 Lewis Revival, which occurred later)... It has encouraged me to pray with new expectancy for God to revive His work among us. In this fair-minded and thorough book, Tom Lennie has shown that there were evangelical awakenings in many parts of the land down to the inter-war years. Spontaneous local revivals of religion in Scotland did not virtually disappear, Tom Lennie has shown that there were evangelical awakenings in many parts of the land down to the inter-war years. ... it is not new techniques or new schemes we need... It is what many nineteenth- and early twentieth-century Scottish Christians, whose experience of true revival is set forth in this well-documented book, knew: the awesome God of holiness himself drawing near to his people and setting mind and heart ablaze with glorious light.